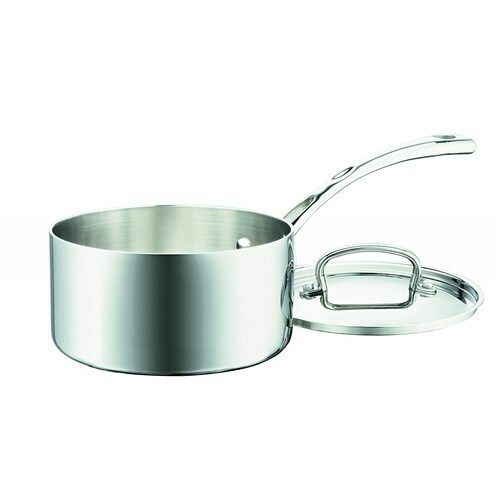 The Cuisinart FCT1925-18 is a stainless steel saucepan features Heat Surround™ Technology which allows even heat distribution across the bottom and side walls of the cookware. The three-layer design and aluminum-encapsulated base ensures optimal heat and professional performance. Its contoured stainless stick handle is designed to stay cool on the stovetop. Tight-fitting stainless steel cover locks in moisture and nutrients for more flavorful foods. 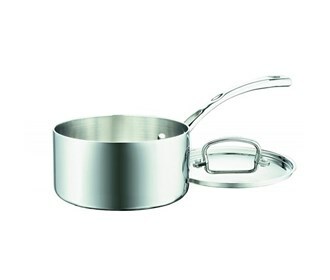 The Cuisinart 2.5 Quart Saucepan has many exciting features for users of all types. The Cuisinart 2.5 Quart Saucepan is sold as a Brand New Unopened Item.